If you're facing removal (deportation), here are the first steps upon receiving a notice to appear (NTA) in immigration court. If you have been notified that you must appear for a deportation hearing – more accurately called a removal hearing – you no doubt realize that the Department of Homeland Security (DHS) is attempting to remove you from the United States. You have probably been charged with being either "removable" or "inadmissible" under U.S. immigration law. Facing a deportation hearing can be extremely stressful. However, understanding how the process works and the first steps you should take to prepare yourself can both ease the stress and potentially lead you to find a legal way to protect your right to stay in the United States. Will the U.S. Government Automatically Win and Deport You? No, the U.S. government places many people into removal proceedings, and not all of them get deported. For starters, it is actually the government’s burden to establish removability before the Executive Office of Immigration Review (“EOIR”) Office of the Immigration Court. If it can’t do so, the immigration judge will not order you removed. The immigration judge – who is a government employee, but expected to make an objective decision after hearing both your arguments and those of the government attorney -- will ultimately decide the case. The judge will issue a final order either removing you from the U.S. or granting your application for relief from removal based upon the evidence considered. How Do You Know What You’ve Been Charged With? Here’s how to find out exactly what reason the U.S. government is basing its efforts to remove you on. Prior to the master calendar hearing, you should have already received the Notice to Appear (“NTA”), along with charging documents and a Notice of Hearing in Removal Proceedings. The NTA and charging documents specifically state the charges of removability or inadmissibility against you. The Notice of Hearing indicates the date and time your court case will first be called, for the master calendar hearing. The first notice is usually mailed to you, but every hearing notice after that will be given to you (or your lawyer) in person by the judge. Will My Case Be Decided at the First, "Master Calendar" Hearing? Don’t worry that you will walk into your first hearing and instantly be deported. The first hearing that you will attend, called a master calendar hearing, is mostly meant to determine how the case will proceed forward. Although you can “give up” at this point and request the right to leave the U.S. voluntarily, any Respondent with a legal defense will usually ask to be scheduled for a full hearing in the future, called a "merits hearing." A common and understandable fear is that you will be placed into detention when you show up at your first hearing. The most common reason that people end up in immigration detention is that the government does not believe that they will appear for their hearings, usually due to criminal history, or because they were already in criminal custody when they were referred to removal proceedings. However, if these issues aren’t present in your case, and you appear for your hearings as scheduled, there is no reason to fear that the government will detain you. In most cases, the first question at the master calendar hearing is whether or not the Respondent has, in fact, been served with the NTA and charging documents, as well as whether or not the Respondent is, in fact, removable as charged. The second question is usually whether the Respondent is prepared to either admit or deny the various charges listed on the NTA. This is referred to as “taking pleadings,” and you can do it by yourself or, preferably, with the assistance of an attorney. If you do take pleadings, and the judge determines that the government has set forth clear and convincing evidence of removability, then the question becomes whether you wish to seek any affirmative relief from removal. You can see why it is very important for you to have legal representation at the master calendar and subsequent hearings, to ensure not only that the process is being followed correctly, but to determine whether the government has met its initial burden and whether you can assert any relief from removal. If you take pleadings and assert eligibility for relief from removal, the immigration judge will set various deadlines for submission of documents and evidence as well as set a date for the individual hearing on the merits of the case. What If I Don’t Show Up for a Hearing? As long as the government can establish that you were served with the NTA and notice of the hearing, not showing up will result in the immigration judge issuing a final order of removal in your case. The ordered is issued "in absentia," meaning according to the judge's power to order you removed from the U.S. in your absence. For numerous reasons, receiving an order of removal can be extremely bad, because you cannot later expect to be considered for any applications for relief from removal or other immigration benefits for a minimum of ten years. To avoid this, you must appear for all scheduled hearings unless specifically told otherwise, and you must keep the court informed of your current address and phone number at all times. By getting an attorney right away, you can help make sure to meet all your deadlines and attend your court dates ready to present a defense. What does Will happen at the Merits Hearing? 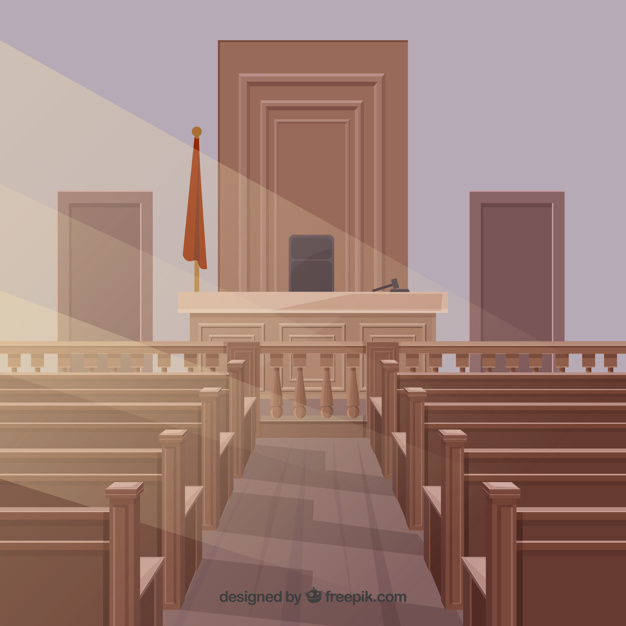 The merits hearing is where you and the government present your full case, by testifying in front of the judge and possibly presenting witnesses. (By this time, you will have already submitted various documents and exhibits, but you can submit more in court, if they weren’t available before.) The merits hearing may go on for more than one day.